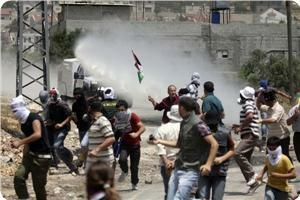 Dozens of people were injured on Friday as Israeli forces dispersed non-violent protests across the occupied West Bank. In Bilin, Israeli forces fired rubber-coated steel bullets, tear gas and stun grenades at protesters as they marched towards land confiscated by Israel's separation wall. Participants raised Palestinian flags, posters of prisoners, and signs condemning the practice of administrative detention. Ahmad Ratib Abu Rahma, 20, was hit in the foot with a tear gas canister, Mohammad Adeeb Abu Rahma, 20, was hit in the hand, and a female Danish activist was struck in the leg and required stitches. 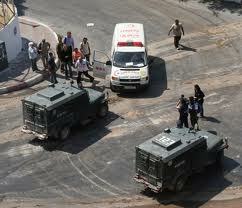 The injured were taken to the Palestine Medical Complex in Ramallah for treatment. Bilin villagers have been protesting on a weekly basis against Israeli confiscation of their lands in order to build the separation wall, which passes through their village. 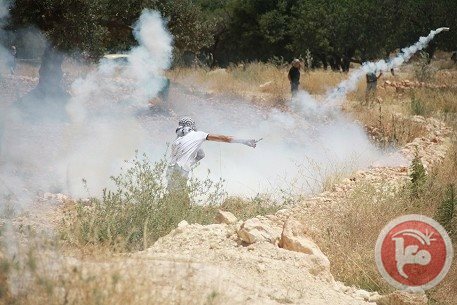 In Kafr Qaddum, near Qalqiliya in the northern West Bank, a man was shot in the back with a rubber-coated bullet while dozens suffered tear gas inhalation. Protesters had gathered to show solidarity with hunger-striking Palestinian prisoners and demand that Israeli forces re-open the village's main road, which has been closed for over 13 years. According to Amnesty International, Israeli forces often use excessive force against Palestinian protesters. 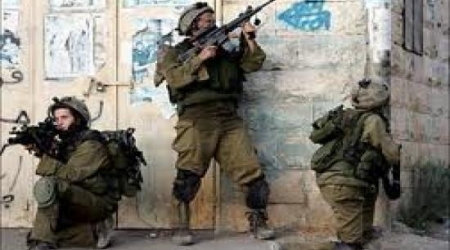 Eyewitnesses have reported that Israeli soldiers attacked, on Thursday evening (May 29, 2014] two young Palestinian men, in the Ash-Shuhada Street, in Hebron city, in the southern part of the occupied West Bank. The two have been identified as Mohammad al-Jamal, 22, and Diab al-Karaky, 20; the soldiers stopped the two Palestinians at the roadblock, and violently assaulted them before one of them lost consciousness. Imad Abu Shamsiyya, a local volunteer with the Israeli Information Center for Human Rights in the Occupied Territories (B’Tselem) stated the soldiers tried to prevent the B’Tselem team from documenting the assault. Abu Shamsiyya added that such attacks became a daily occurrence in Hebron, especially in the Ash-Shuhada Street. He said the soldiers refused to allow local medics to provide treatment to the two Palestinians, and insisted on arresting them. Imad al-Atrash, a local activist, said the attack was the third just on Thursday, adding that Israeli military assaults and attacks by fanatic Israeli settlers take place on a daily basis. 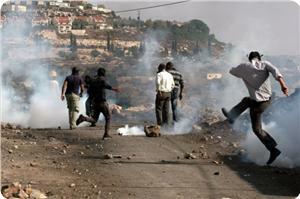 Al-Atrash added that the settlers also repeatedly attack international solidarity activists, and Israeli activists. The Israeli police released on Wednesday after midnight the 27-year old Sa’eb Abdelfattah Fakhouri after detaining him for more than two hours in Lions Gate police station due to his medical condition as he suffered several bruises and a cut in his eyelid. Large Israeli forces had broken into three houses for Fakhouri family and arrested the 29-year old Abdelfattah Ahmad Deeb Fakhouri and the 27-year old Sa’eb Abdelfattah Fakhouri and then assaulted all the family members and severely beat them. The 57-year old Ahmad Deeb Abdelfattah Fattah Fakhouri was injured with a cut in his fact and suffered bruises all over his body while he attempted to save his son from being arrested; the forces also sprayed him with pepper gas. 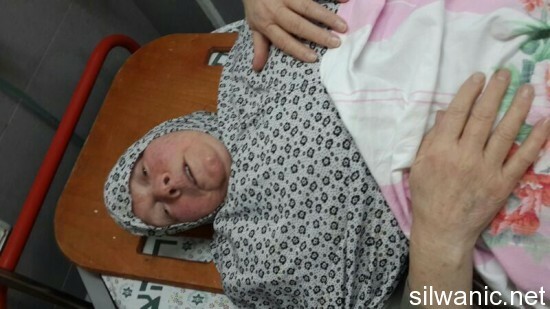 The forces also broke in the house of 72-year old Um Deeb Fakhouri and the soldier punched her on her chest causing her to fall off the stairs of the house injuring her with bruises. A paramedic team arrived at the house and transferred her to Al-Maqased hospital in a Palestinian Red Crescent ambulance. Israeli soldiers have again surfaced in recently publicized video footage, on Wednesday, as they violently beat a Palestinian elderly in al-Aqsa mosque compound, occupied Jerusalem. A number of soldiers appear in the footage as they surround a helpless elderly man in the compound, Al Ray reports. One of the soldiers is actually seen punching him before toppling him to the ground with the other soldiers. The man tried to escape. However, the soldiers violently restrained him amidst massive outrage and protest from Palestinian civilians gathered in the compound. Al Aqsa mosque is an increasingly frequent site of attacks on Palestinians, by both soldiers and Israeli settlers. The video has caused a state of anger among social media activists. 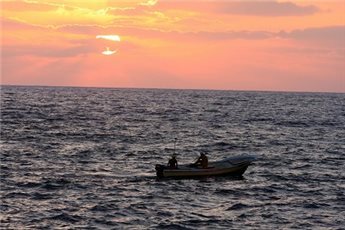 Four Palestinian fisherman were kidnapped by the Israeli navy in Gaza waters on Thursday morning at a time when a series of mock raids have been rocking the Gaza Strip. According to chairman of the Palestinian Fishermen’s Syndicate, Nizar Ayyash, an Israeli gunboat kept chasing a Palestinian fishing boat off Gaza waters and arrested the four fishermen on board before carrying them all, along with their boat, to the Israeli Ashdod airport, north of the Gaza Strip. An upsurge in Israeli violations targeting Palestinian fishermen at this very stage aims at denying them the right to earn a living during the summer sardine season and triggering economic losses besides of the swift rise in fuel prices, Ayyash added. Palestinian fishermen have increasingly been targeted by the Israeli navy forces off Gaza waters. Several have been wounded while others arrested in less than a week’s time. Other Palestinian fishermen were arrested and wounded following gun shootings by the Egyptian navy off Rafah waters. The attack makes part of a series of breaches to the terms of the contract signed in November 2012 between the Palestinian resistance and the Israeli occupation forces under Egyptian patronage. 25 Palestinians have been killed ever since while hundreds have been wounded and arrested. Meanwhile, a series of mock raids were launched on the Gaza Strip on Thursday morning. Blast sounds rocked the entire city, an on-the-spot reporter told Quds Press. A series of raids was launched at dawn Thursday and Wednesday night by the Israeli Occupation Forces (IOF) in the West Bank and Occupied Jerusalem. Palestinian homes have been ransacked while non-violent protestors were assaulted in the process. According to the Wadi Helwa Information Center, the IOF arrested Palestinian young men Abd al-Fatah Fakhouri and Saeb al-Fakhouri after having attacked their homes in Bab Hatta neighborhood and assaulted them, along with all other family members. 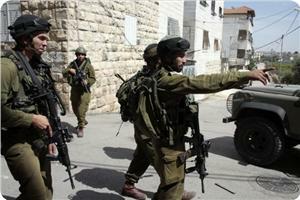 Another Palestinian home at Bab al-Majlis was invaded by the IOF. All family members, including women and children, were heavily beaten, the center further pointed out. 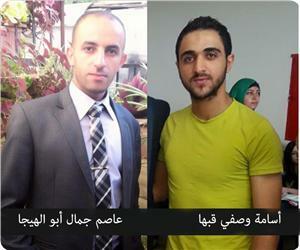 According to the center, the IOF rounded-up four youngsters in al-Aqsa after beating them. 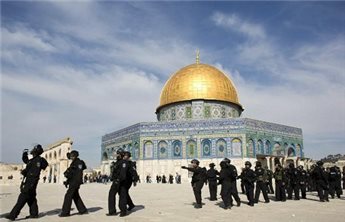 The Israeli Special Forces invaded holy al-Aqsa Mosque via house rooftops in search of the wanted civilians, eye-witnesses reported. IOF soldiers were deployed heavily around Bab al-Majlis near al-Aqsa, where residential quarters and neighborhoods were searched. In a related context, local sources in Nablus told the PIC correspondent that the IOF invaded Jerusalem street south of the city and attacked the house of the Mansour family. The attack culminated in the apprehension of ex-detainee Bahaa al-Din Mansour, 26. Dozens of Israeli armed soldiers invaded Palestinian homes south of Nablus leading to considerable material damage among the natives’ properties. A 31-year-old ex-prisoner, detained for 10 years in Israeli jails, was heavily beaten and carried to an unknown destination. Both Marwan Sabouni and Ridha Sabouni, along with the members of an entire family, were all rounded up following raids launched by the Israeli patrols in different Nablus villages. According to Raed Ameur, head of the Prisoners’ Society in Nablus, the arrest-campaign also targeted the Palestinian woman Samaher Suleiman Othman, the wife of prisoner Zein al-Din. A number of military checkpoints were erected by the IOF in Madama and A’sira Al-Qebliya, south of Nablus, where Palestinian vehicles and IDs were inspected. Along the same line, there Palestinian citizens from al-Khalil were rounded up on Thursday morning while the southern crossroads of the city have been shut down by the IOF, resulting in traffic congestion, PIC news reporter has been told by eye-witnesses. Israeli settlers have stationed in Yatta’s park, south of al-Khalil, so as to hold sway over the area under shield by the IOF. Seven more Bethlehem natives, all in their twenties, were arrested following a series of break-ins into Takoa, Beit Fajjar, and the Aida refugee camp in Bethlehem, local sources reported. An 18-year-old youth was also targeted by the arrest-campaign while another citizen, 20, was summoned for interrogation. 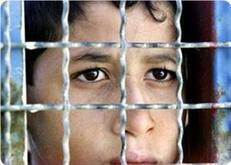 Two minors, 16 and 17 years-old, from Yabad town, southwest of Jenin, were captured on Wednesday evening. 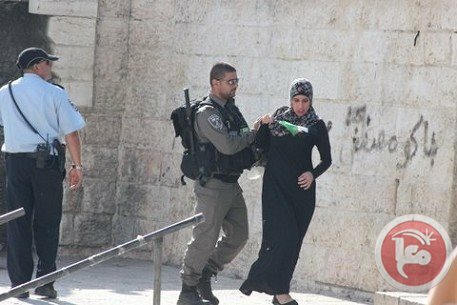 In a related event, a number of Palestinian Jerusalemite natives were left severely wounded by the IOF on Wednesday while others were arrested during clashes that broke out following the so-called provocative Flag March staged by hordes of Israeli extremist settlers on the occasion of Jerusalem Day, local sources documented. Scores of young men and civilians, including a cameraman, were rounded up by the IOF while others were heavily beaten throughout. A state of panic prevailed among the citizens following the provocative Israeli rally launched in Bab al-Amoud to commemorate the occupation of Jerusalem in the 1967 Six-Day-War. 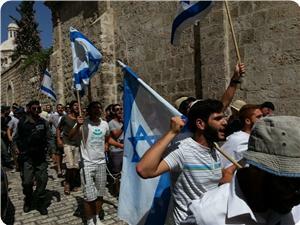 Dozens of Israeli settlers partook in the march, chanting racist and anti-Arab slogans. Meanwhile, Palestinian peaceful demonstrators were attacked by the IOF in Sultan Suleiman Street, closed since 5 p.m., while they had been protesting the Judaization demo. Tear gas canisters, arbitrary arrests, and physical assaults against Palestinian non-violent marchers followed. Several paramedics were injured on Thursday while performing their duties in the streets of Jerusalem as the Israeli forces assaulted the locals to secure the settlers’ march. 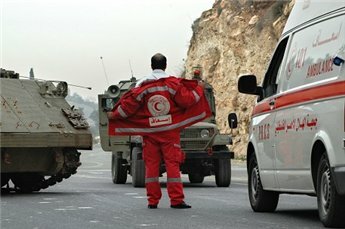 Mohammad Gharabli, President of the Association of Arab Federation of paramedics, said that the Israeli police deliberately used force against paramedics in order to prevent them from performing their duties and provide treatment for the injured; note that the law of the Israeli Ministry of Health requires anybody that has any experience in first aid to help and treat any injured person and so the Israeli police are violating this law. The paramedics who were injured are: Omar Obeid, Marwan Suleiman, Eyad Abu Sneineh, Mohammad Abu Sneineh, Ahd Hashimeh, Musleh Abu Hadwan and Othman Sinokrot and they were all transferred to the hospital in the Red Crescent ambulances. A Palestinian youth was severely injured after being over by an Israeli military vehicle in the village of Beit Ummar, north of Hebron, according to a local activist. WAFA Palestinian News & Info Agency has reported that, according to spokesperson for the people’s committee in the village, Mohammad Awad, 15-year-old Anan Abu-Ayyash was severely injured in the head after being run over by an Israeli army jeep. He was transferred to hospital for medical treatment. The Hebron district is one of the most heavily afflicted regions in the West Bank, with regard to violent clashes and Israeli violations on the Palestinian people and their property. It is the largest city in the West Bank and second largest in the oPt, after Gaza. It is home to approximately 250,000 Palestinians, and between 500 and 850 Jewish colonial settlers. A two-year-old Palestinian child was hit with an Israeli army rubber bullet in his chest in Beit Ummar village, north of al-Khalil, at noon Wednesday. Local sources said that Israeli occupation forces (IOF) clashed with young men at the entrance of the village during a raid and fired live and rubber bullets and tear gas at random. They said that the child Mohammed Ali Abu Maria was hit with a bullet in his chest and taken to a hospital in al-Khalil city. 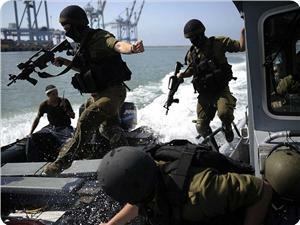 Israeli navy gunboats fired at Palestinian fishermen and kidnapped three of them on Tuesday night. 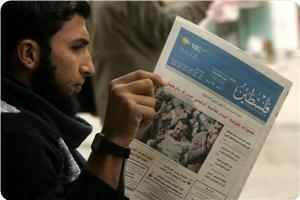 Nizar Ayyash told the PIC reporter on Wednesday that the incident took place off the southern Gaza Strip coast of Rafah. He said that Israeli navy shooting on Palestinian fishermen and their boats has become daily routine, adding that the detention of fishermen at night has also escalated. The Israeli Occupation Forces (IOF) have launched at dawn Wednesday an arrest campaign targeting 25 Palestinians throughout occupied West Bank and Jerusalem including two women. 12 Palestinians including a woman were arrested in Alezariye town in occupied Jerusalem after taking part in solidarity events in support of Palestinian prisoners. In Jenin, IOF soldiers arrested 7 Palestinian youths after raiding their homes amid intensive fire of tear gas bombs and rubber bullets. Among the detainees were the detainee Jamal Abul Haija’s son and former minister of prisoners’ affairs Wasfi Qabaha’s son after savagely storming the two leaders’ homes. All sons of Sheikh Jamal Abul Haija, arrested in 2002 and sentenced to 9 life terms plus 20 years, were detained in Israeli jails. His youngest son was killed two months ago by Israeli gunfire. In Bethlehem, 4 Palestinians were arrested including two brothers after violently breaking and searching their homes and a liberated prisoner. 2 other Palestinians including a woman were arrested in Majdal Bani Fadil and Burqa towns in Nablus. On the other hand, large Israeli forces stormed on Wednesday Beita village, south of Nablus, and raided its mayor Osman Dweikat's home. Meanwhile, clashes erupted in Asira and Madama towns, south of Nablus, between Palestinian citizens and Israeli forces who heavily fired stun grenades and tear gas bombs toward the civilians. In a related context, clashes erupted in Azzun village, east of Qalqilya, when Israeli forces stormed the village at dawn today. No arrests or injuries were reported during the clashes. Israeli special forces, accompanied by military bulldozers, arrested three Palestinian girls after raiding Abu Salma's house twice during an hour in Shneer neighborhood in the pre-1948 Palestinian city of Lod. The forces severely beat the family's members and caused fractures and wounds for several of them. The forces also arrested three girls of the family and took them to an Israeli police station. Head of the Popular Committee in Lod, Ibrahim Abu Sa'lok, said that raiding the house brutally, assaulting its owners and arresting girls violate the human rights and the privacy of the family. Abu Sa'alok confirmed that raiding the house under the pretext of searching for prohibitions, that were not found, is not an excuse. He stressed the Israeli forces believe that they have the legal justification to violate any Palestinian right. The occupation's allegations are a systemic way that intends to defame the Palestinians and expel them from the pre-1948 Palestine, Abu Sa'lok pointed out. A number of Palestinian citizens suffered from teargas inhalation on Tuesday in Beit Ummar village, north of al-Khalil, during an Israeli army raid on a funeral. Eyewitnesses told the PIC that Israeli occupation forces fired metal bullets and teargas canisters at a funeral procession in the village causing breathing problems to many of the participants. They said that hundreds were taking part in the procession, adding that young men threw stones at the invading troops. They said that the soldiers broke into homes near the main entrance to the city, which is beside the cemetery, and attacked citizens to keep them away from the main street, which is trekked by Jewish settlers. A series of raids and arrest campaigns were launched by the Israeli occupation forces (IOF) Tuesday and Monday in several cities of the West Bank while summonses and demolition threats have been handed to Beit Ummar and Negev natives. Local sources told PIC correspondent that around 20 military vehicles raided different West Bank areas on Tuesday, triggering violent confrontations between Palestinian unarmed youth and the IOF. Several Palestinian citizens suffered breathing problems as Israeli soldiers fired tear gas canisters. Two Palestinian teens have been arrested and carried to an unidentified destination by the IOF after having been interrogated on-the-spot, the same sources documented. 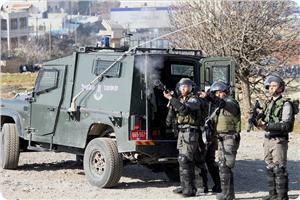 Seven more Palestinian citizens, including two students, were rounded-up following the raids. Students at An-Najah National University, Musaab Al-Husari and Hamza Safi, both Tulkarem natives, were arrested at dawn Tuesday following a large-scale Israeli raid in the city. 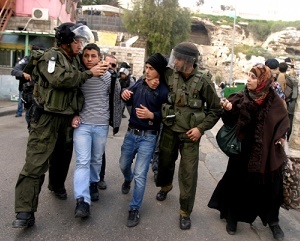 The students were dragged to an unknown destination by the IOF. According to local sources Musaab, who had been held in a detention center before and carried to the hospital after having been tortured in jail, has been re-apprehended just a few days before the date scheduled for his graduation project thesis defense. Musaab is the son of a hunger-striking administrative detainee. Another Palestinian youth was arrested on Monday morning by the IOF following the confrontations that broke out in the Negev, as random demolition threats were handed over to Palestinian natives there, where several houses have been evacuated under pretext of illegal construction, local sources confirmed. Along the same context, eye-witnesses in al-Khalil reported 5 Palestinian young men from Beit Ummar and a number of Fawar camp refugees were rounded up by the IOF. Jabour called on all humanitarian and human rights institutions to take serious action against such Israeli “acts of terrorism” targeting Palestinian civilians on a daily basis.